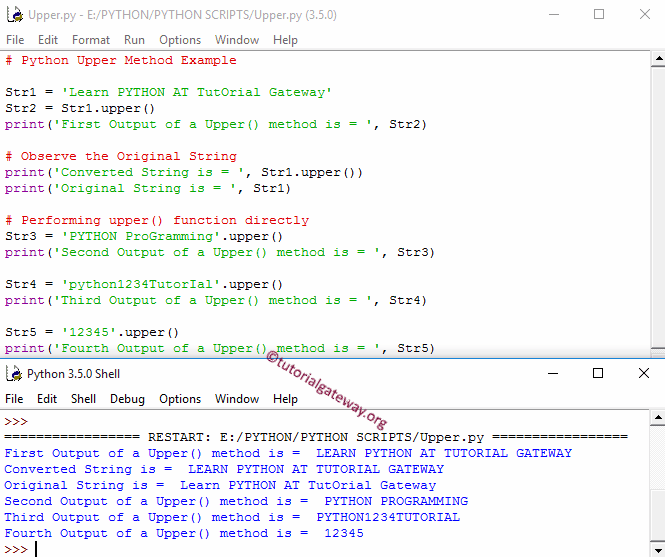 The Python Upper is one of the Python String Method which is a string method which is used to convert the given string into Uppercase letters and return new string. In this article we will show you, How to write Upper() Function in Python Programming with example. TIP: The Upper() Function will keep the Non-letters unchanged. The following set of examples will help you understand the Upper Function in Python. Or, say, they will convert the specified string to upper case.